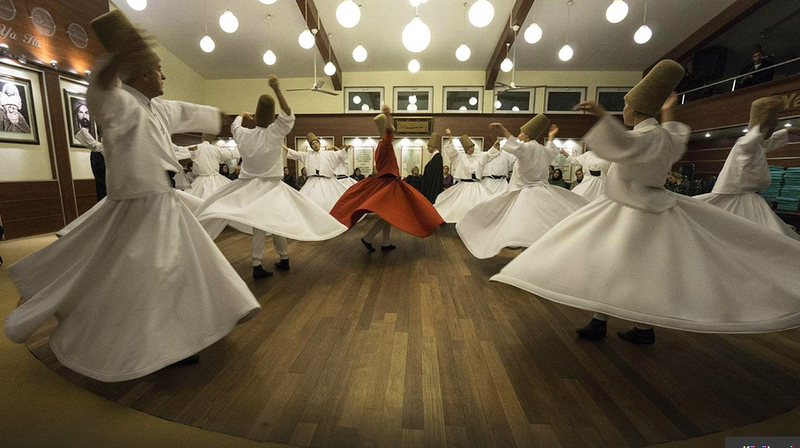 Use the form below to contact tour Whirling Dervish Ceremony in Silivrikapi Monastery Istanbul Turkey directly. 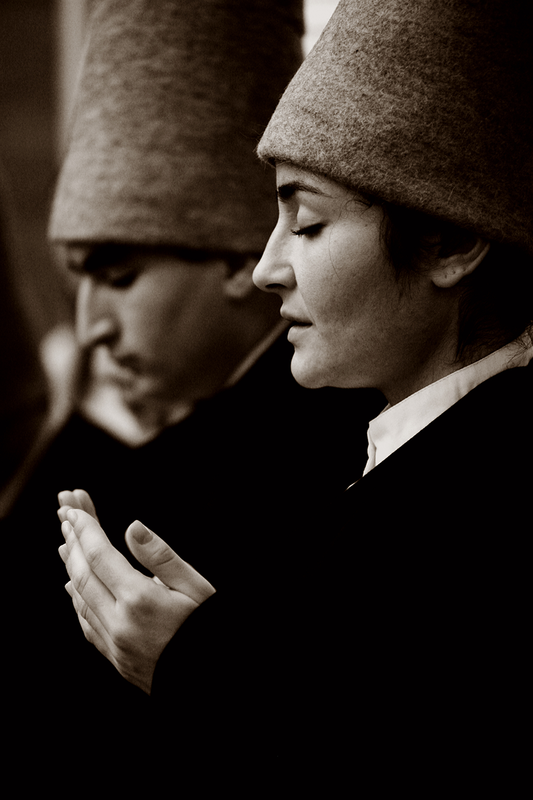 Mevlevi believed that during the sema the soul was released from earthly ties, and able to freely and jubilantly commune with the divine. 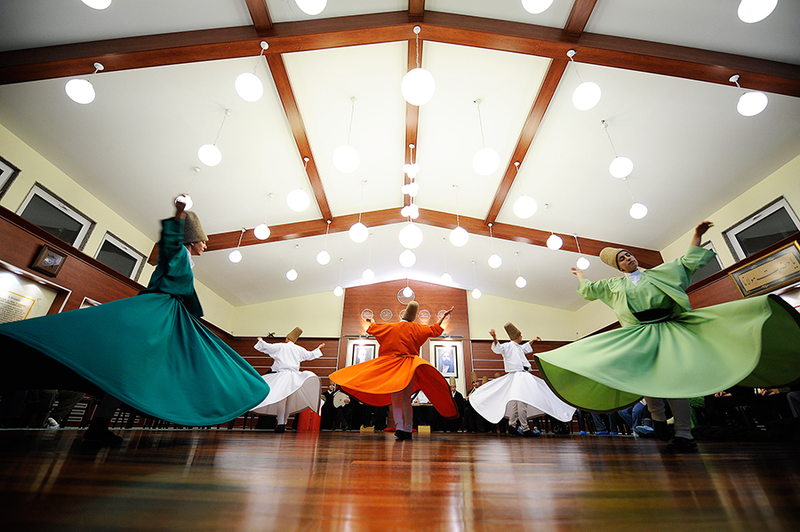 Dervish literally means “doorway” and is thought to be an entrance from this material world to the spiritual, heavenly world. 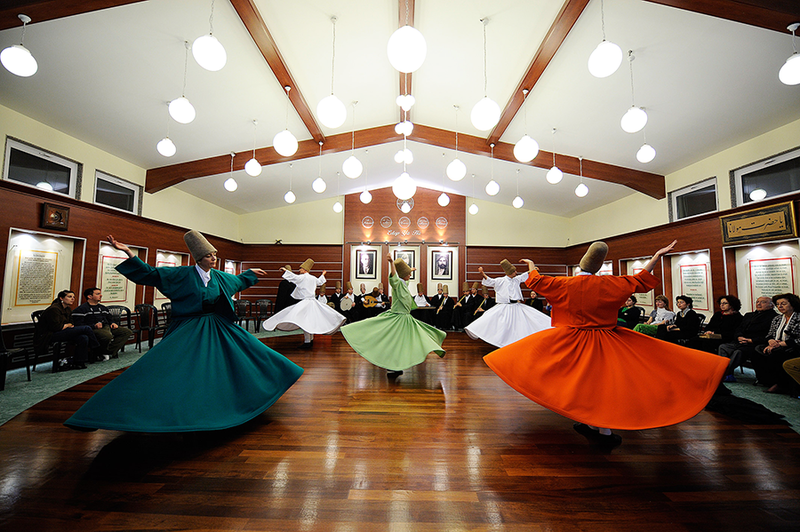 The Whirling Dervishes played an important part in the evolution of Ottoman high culture. Meeting time is 20:00 pm in our Travel Agency and Art Gallery located in Sultanahmet !!! Идея: во время этой церемонии посещения текке (монастыря дервишей) вы узнаете историю суфизма и суфийских общин в Стамбуле, а также познакомитесь с радицией суфийского ордена Мевлеви в современной Турции. Вы встретитесь с членами суфийской общины и их шейхом, послушаете их музыку, станете свидетелем Сема – церемонии Кружащихся Дервишей. Церемонии проходят по четвергам. Время встречи 20: 00 в нашей художественной галерее, расположенной в районе Султанахмет ! Прежде чем мы отправимся из галерени в Султанахмет, мы проведем небольшую беседу в форме лекции в течение 5-10 минут. Вы узнаете о церемонии Сема, Суфизме и его роли в Исламе. Если у вас есть какие-либо вопросы, мы можем ответить на них до или после церемонии. Мы также предоставляем брошюры о программе вечера в обители дервишей. Дресс-код : одежда с длинными рукавми, длинные брюки или юбки. Это религиозная церемония в суфийском монастыре, а не туристическое шоу, поэтому, пожалуйста, уважайте местные традиции. Фотографирование: По Понедельникам фотосъемка не разрешается. По четвергам можно фотографировать без вспышки, не нарушая атмосферу монастыря. ** Пожалуйста, обратите внимание, что могут быть небольшие изменения во времени начала и длительности церемонии из-за часов молитвы. ** Please note that there may be a little time changes and flexibility on the ceremony due to the prayer hours. Please send us an E-mail to learn the exact times. ** Also we are taking limited numbers of guests to the monastery in order not to disturb the ambiance soo please send us an E-mail in advanced. 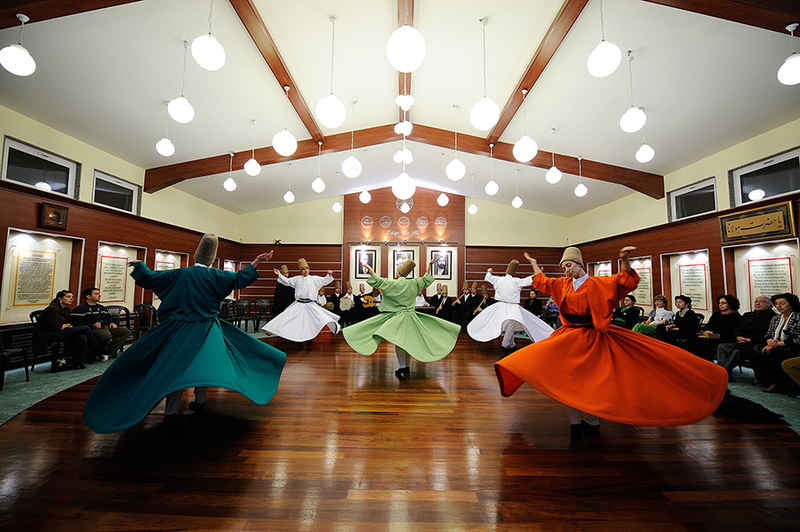 ** Before the ceremony we can give you a brief information about the Sufism & the Whirling Dervishes. If you are interested please send us an E-mail for reservation. 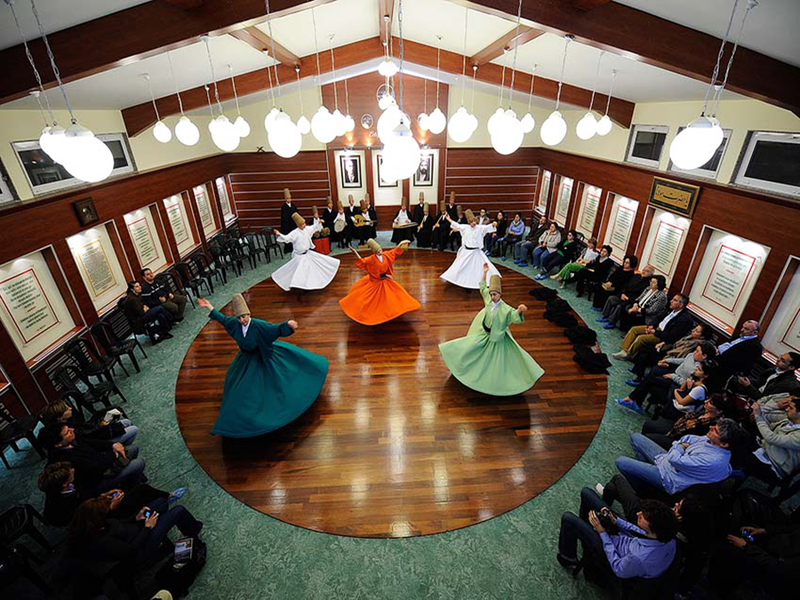 ** Alternatively we also arrange weekly tours to Konya in Mevlana Week in every december. 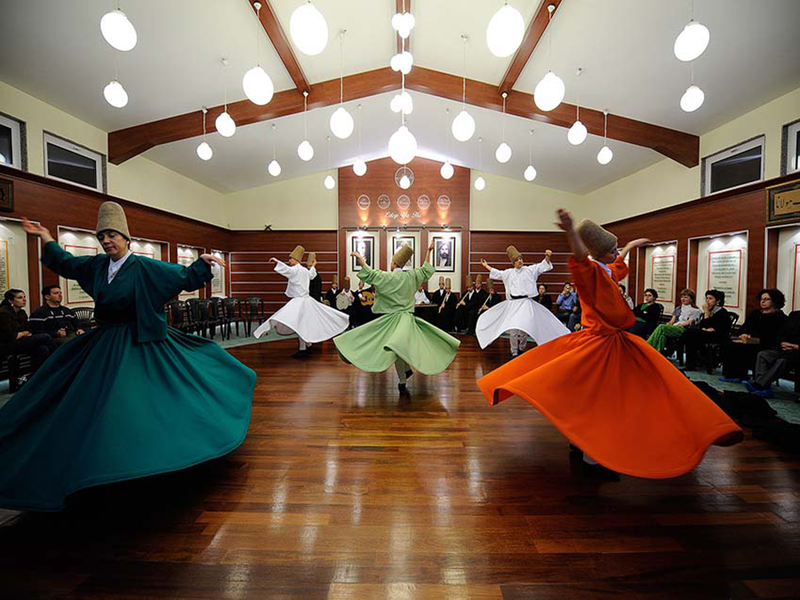 Keywords : Whirling Dervish Ceremony in Istanbul,Dervish Ceremonies,Whirling Dervish,Sufi Dance, Hu, Semazen, Turning,Istanbul Derviches, Le Dervish, Mevlana Celalettin … Tekke,Monastery,Dervish Ceremonie in the monastery,Monaster,Silivrikapi,Silivrikapı,Fatih,Dergah,Ceremonie de dervish ,istanbul,Real Dervish Ceremony ,Dervish Ceremony in the Real Monastery Every Thursday Nights at 20:00. meeting place is Sultanahmet. Shuttle Service from Sultanahmet to the monastery. 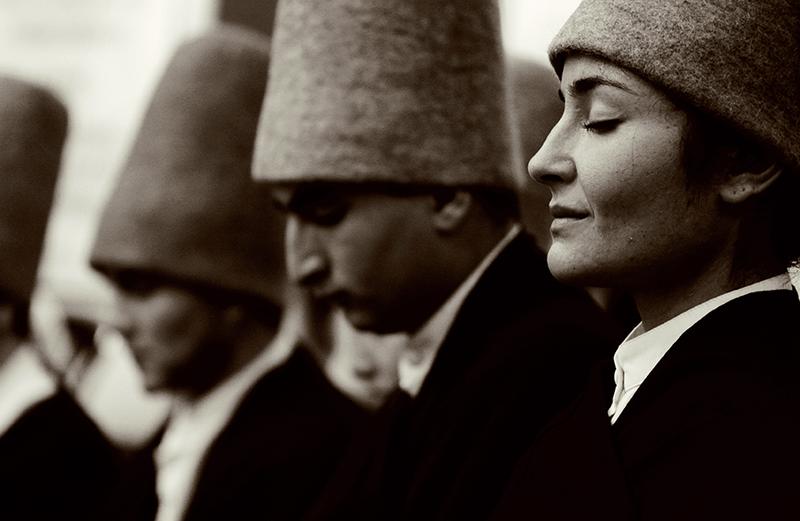 In the end of the ceremony, return back to sultanahmet. 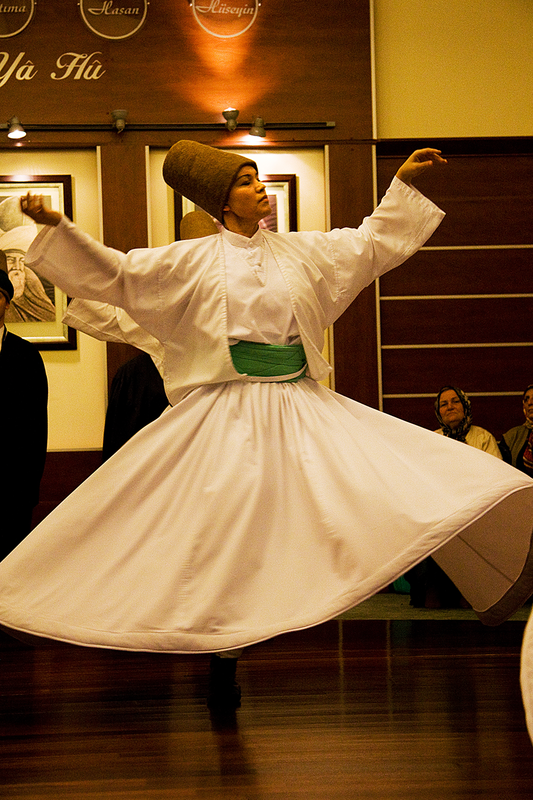 About Whirling Dervish Ceremony in Fatih. Dervish Ceremony in the RealMonastery Every Thursday,Whirling Dervish Ceremony in the Monastery ,Dervish Ceremony,Whirling Dervish,Dervish,Sema,ceremony,ritual,Monastery,Visits,Dergah,Real Sufi,Real Dervish,Real Dervish Ceremonie,Ceremony,Real Dervish Ceremony,sufi,mevlevi,mevlana,Sufi whirling (or Sufi turning) (Turkish: Semazen) is a form of Sama or physically active meditation which originated among Sufis, and which is still practiced by the Sufi Dervishes of the Mevlevi order and other orders such as the Rifa’i-Marufi.While in Istanbul I attended a Sema Ceremony where Sufi whirling dervishes spin themselves into a trance-like state that brings them closer to God.Whirling Dervish Ceremony in Istanbul,Dervish Ceremonies,Whirling Dervish,Sufi Dance, Hu, Semazen, Turning,Istanbul Derviches, Le Dervish, Mevlana Celalettin … Tekke,Monastery,Dervish Ceremonie in the monastery,Monaster,Silivrikapi,Silivrikapı,Fatih,Dergah,Ceremonie de dervish ,istanbul,Real Dervish Ceremony ,Dervish Ceremony in the Real Monastery Every Thursday Nights at 20:00. meeting place is Sultanahmet. Shuttle Service from Sultanahmet to the monastery. In the end of the ceremony, return back to sultanahmet. 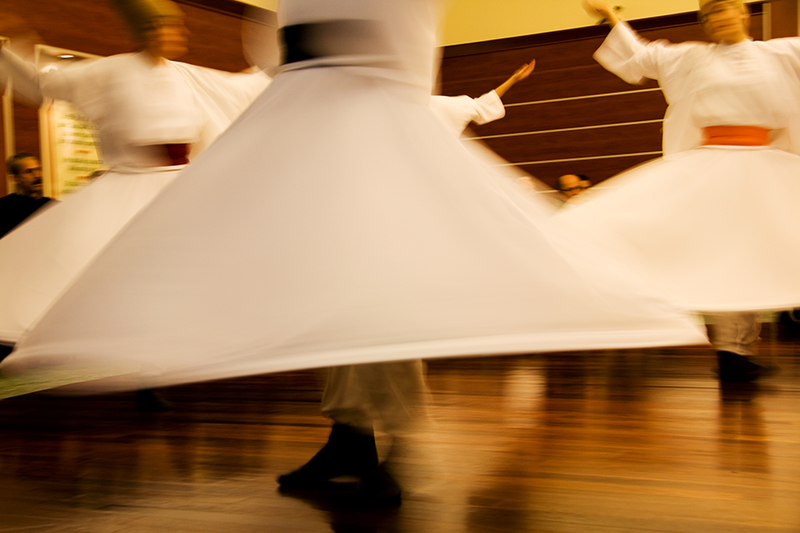 About Whirling Dervish Ceremony in Fatih. Dervish Ceremony in the RealMonastery Every Thursday,Whirling Dervish Ceremony in the Monastery ,Dervish Ceremony,Whirling Dervish,Dervish,Sema,ceremony,ritual,Monastery,Visits,Dergah,Real Sufi,Real Dervish,Real Dervish Ceremonie,Ceremony,Real Dervish Ceremony,sufi,mevlevi,mevlana,Sufi whirling (or Sufi turning) (Turkish: Semazen) is a form of Sama or physically active meditation which originated among Sufis, and which is still practiced by the Sufi Dervishes of the Mevlevi order and other orders such as the Rifa’i-Marufi.While in Istanbul I attended a Sema Ceremony where Sufi whirling dervishes spin themselves into a trance-like state that brings them closer to God.Whirling Dervish Ceremony in Istanbul,Dervish Ceremonies,Whirling Dervish,Sufi Dance, Hu, Semazen, Turning,Istanbul Derviches, Le Dervish, Mevlana Celalettin … Tekke,Monastery,Dervish Ceremonie in the monastery,Monaster,Silivrikapi,Silivrikapı,Fatih,Dergah,Ceremonie de dervish ,istanbul,Real Dervish Ceremony ,Dervish Ceremony in the Real Monastery Every Thursday Nights at 20:00. meeting place is Sultanahmet. Shuttle Service from Sultanahmet to the monastery. 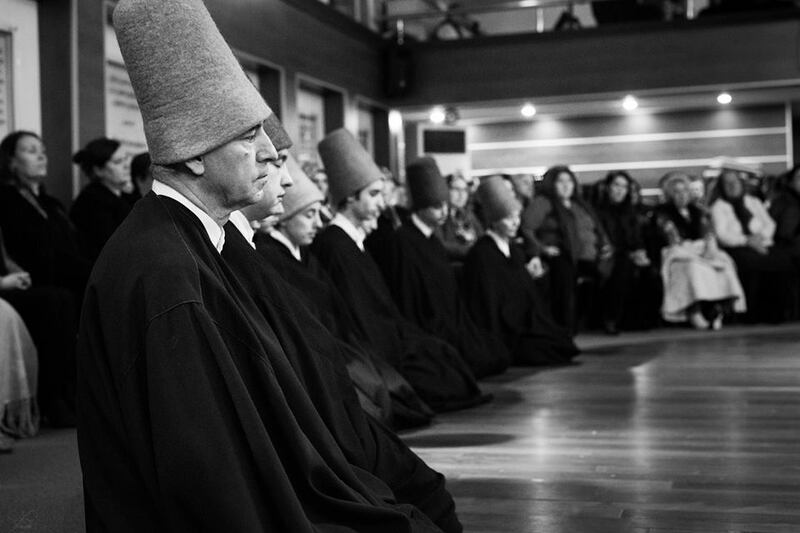 In the end of the ceremony, return back to sultanahmet. 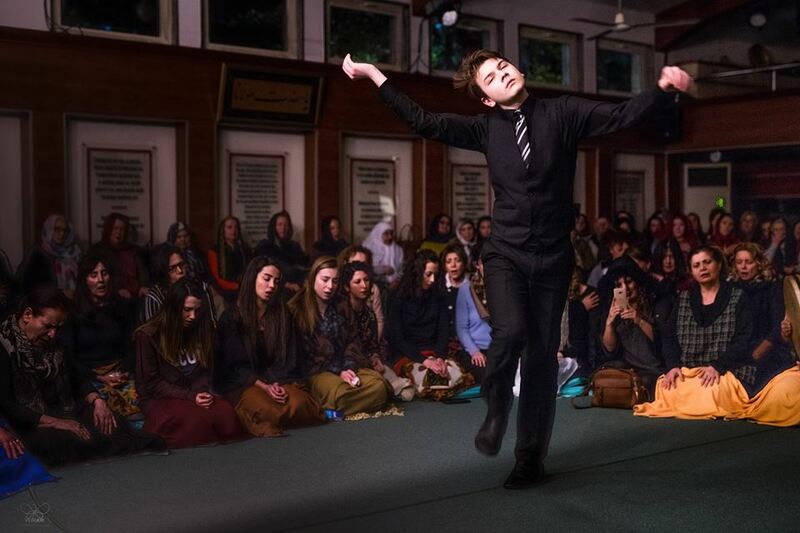 About Whirling Dervish Ceremony in Fatih. Dervish Ceremony in the RealMonastery Every Thursday,Whirling Dervish Ceremony in the Monastery ,Dervish Ceremony,Whirling Dervish,Dervish,Sema,ceremony,ritual,Monastery,Visits,Dergah,Real Sufi,Real Dervish,Real Dervish Ceremonie,Ceremony,Real Dervish Ceremony,sufi,mevlevi,mevlana,Sufi whirling (or Sufi turning) (Turkish: Semazen) is a form of Sama or physically active meditation which originated among Sufis, and which is still practiced by the Sufi Dervishes of the Mevlevi order and other orders such as the Rifa’i-Marufi.While in Istanbul I attended a Sema Ceremony where Sufi whirling dervishes spin themselves into a trance-like state that brings them closer to God.